Join us for the Career Center for Practice Interview Day! Practice your interviewing skills and get valuable feedback from Duke alumni, employers, and Career Center advisers! Interviews will last 30-45 minutes and include a post-interview discussion and critique. The interviews offered will be behavioral and led by interviewers from multiple industries. Specific industry interviewers cannot be requested. 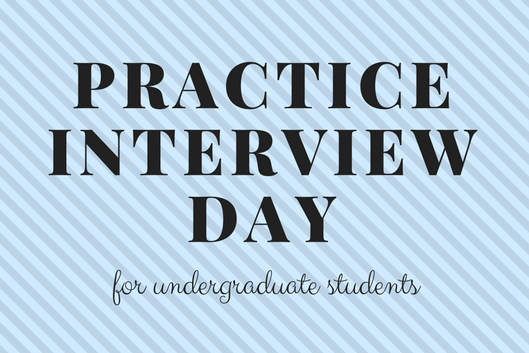 Please be aware that Practice Interview Day is for undergraduates seeking employment in companies or organizations, not for professional school interview preparation. *Click More Event Information below to register.